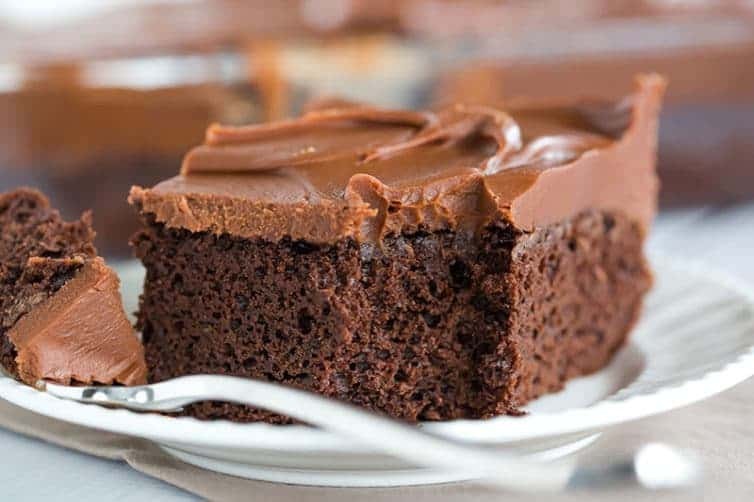 This fabulous chocolate sheet cake only requires one pot for mixing and is topped with the most amazing milk chocolate ganache frosting. Do you have anything special planned for your meals today? Maybe heart-shaped pancakes for the kids, or a nice steak with a decadent chocolate dessert (mousse? pots de creme? bread pudding?) for dinner? If you still need (or just plain WANT) a dessert for later this evening, this chocolate cake is the answer to your prayers. It comes together so easily (one pot for mixing! 15 minutes! ), and can be completed, start to finish, within two hours. Chocolate-laden holidays aside, this is the best simple chocolate cake I’ve ever made. 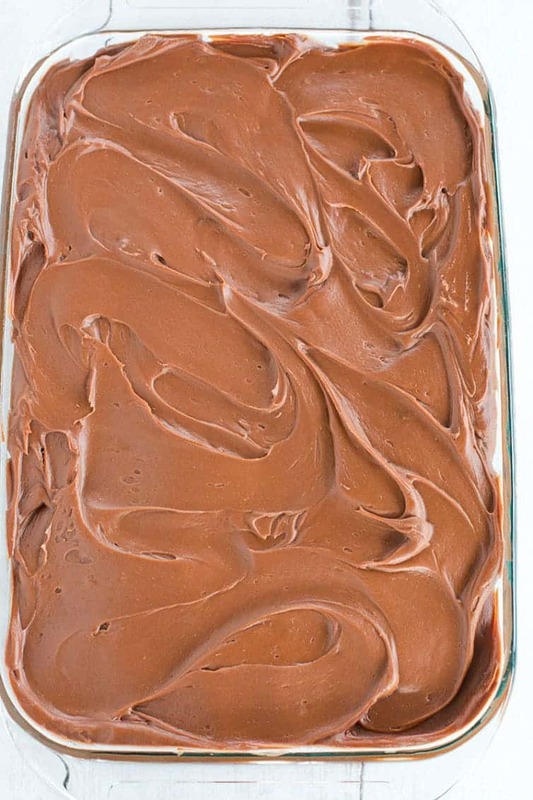 It has a rich chocolate flavor, is supremely moist, and is topped with an utterly amazing milk chocolate ganache frosting that is so silky smooth you’ll think you’ve died and gone to heaven (because heaven is filled with vats of milk chocolate ganache frosting, yes?). Over the last 10 years, I’ve amassed a serious collection of chocolate cakes here on the site, mostly because chocolate ALWAYS trumps vanilla in my world (unless we’re talking ice cream, then give me vanilla all day, every day!). If I see a recipe, I have to try it, and I end up loving a lot of them. As a result, many of you might be wondering which ones are my favorites, so I’m going to lay them out for you right here, right now. While some folks might use the same recipe for single-layer cakes, two-layer cakes, and cupcakes, I have separate favorites for each. I just haven’t found that any of them translate well into another form, so I have go-to chocolate recipes for each one. 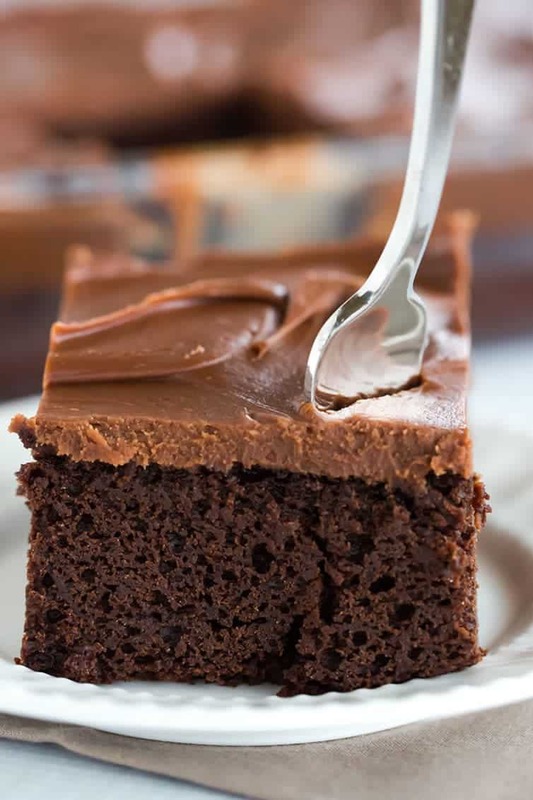 One-Layer Chocolate Sheet Cake – THIS! This recipe is perfect for a single-layer cake that you can prepare quickly and slather with your favorite frosting. 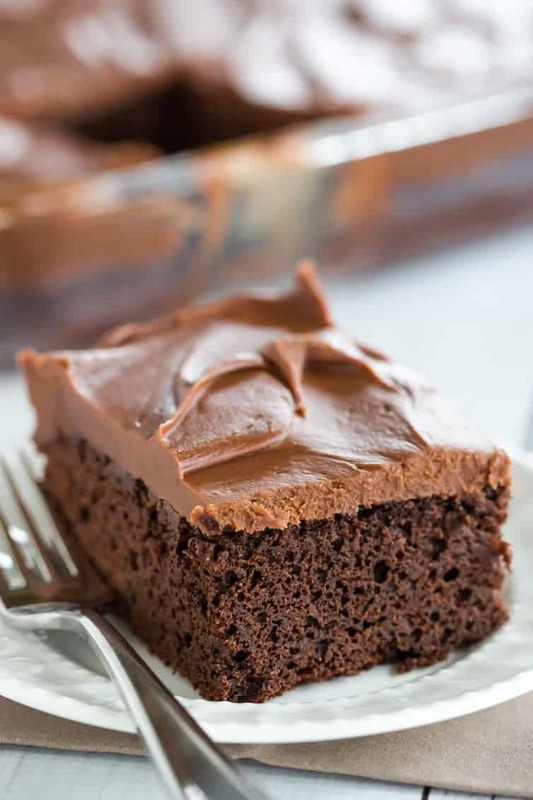 It’s also the perfect homemade substitute for recipes calling for a chocolate cake mix (see: Mrs. Dill’s chocolate cake, better than “anything” cake, and ho ho cake) – it bakes up evenly without doming and has a neutral chocolate flavor perfect for doctoring up! Chocolate Cupcakes – The ultimate chocolate cupcakes recipe is my go-to! You can make them with or without the ganache center and use the frosting of your choice, but these cupcakes bake up absolutely perfectly each and every time with just the right amount of chocolate flavor. I’m pretty biased given my chocoholic nature, but you’d be hard pressed to find a cake better than this one. Its simplicity, combined with the utterly amazing frosting made from just chocolate, cream and butter, makes this recipe a must for stashing away as one of your go-to keepers. The true sign that this is a fabulous cake? I ALWAYS eat ice cream alongside my cake, but I skipped it this time and you truly do not need a single thing to augment or accompany this chocolate sheet cake. It stands mightily on its own. I am determined to find every excuse imaginable to keep making this cake over and over again! Make the Cake: Preheat oven to 325 degrees F. Lightly spray a 9x13-inch baking pan with non-stick cooking spray. In a medium bowl, whisk together the flour, sugar, baking soda, and salt; set aside. In a large saucepan, stir together the milk, chocolate, and cocoa powder. Place the saucepan over low heat and cook, whisking frequently, until the chocolate is melted and the mixture is smooth. Remove from the heat and cool for 5 minutes. 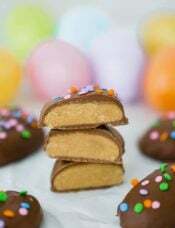 Whisk the vegetable oil, eggs, and vanilla into the chocolate mixture until smooth and homogeneous (it may look curdled and separated at first, but keep whisking and it will come together!). Add the flour mixture and whisk until combined, making sure to scrape the corners of saucepan. 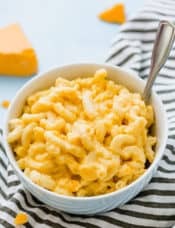 Pour the batter into the prepared pan; bake until firm in center when lightly pressed and a toothpick inserted in the center comes out with a few moist crumbs attached, 30 to 35 minutes, rotating the pan halfway through baking. Cool the cake completely in the pan on a wire rack before frosting, 1 to 2 hours. 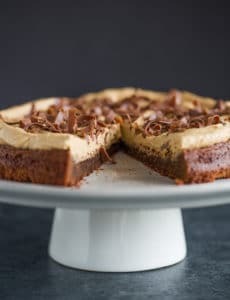 Make the Frosting: While the cake is baking, combine the chocolate and cream in large heatproof bowl set over a saucepan filled with 1 inch of barely simmering water, making sure that water does not touch the bottom of the bowl. Whisk the mixture occasionally until the chocolate is uniformly smooth and glossy, 10 to 15 minutes. Remove the bowl from the saucepan. Add the butter, whisking once or twice to break up the pieces. Let the mixture stand for 5 minutes, then whisk until all of the melted butter is incorporated and the mixture is completely smooth. 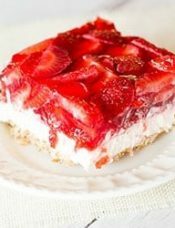 Refrigerate the frosting, without stirring, until cooled and thickened, 30 minutes to 1 hour. Bittersweet chocolate with 60% cacao is recommended for this recipe. Using unsweetened cocoa powder instead of Dutch-processed cocoa powder will result in a drier cake. How big is the caketin? Hi Kitty, 9×13 inch pan. Hi! I made this cake this past weekend. My dilemma with scratch cakes is they are always dry. I followed this one to a T and the cake still tasted dry. Any suggestions on what I am doing wrong? Help! Hi Kathy, I would make sure you don’t overmix the batter and that you don’t over bake them, either. Hi Michelle! May I half the recipe and bake in an 8×8″ pan? Hi Sara, Yes that should be fine! Yes, see citation at the bottom of the recipe. Thanks for this recipe. 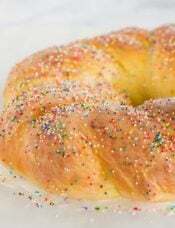 Tried it last night for a Christmas Eve party and it was a crowd pleaser! I doubled the recipe and it worked well. Did not have dutch processed cocoa powder so used unsweetened cocoa powder but added a little extra milk to avoid the drying. This recipe is a keeper!! I have a 11x15x2 Wilton pan, should I make 1.5 times your recipe? I have a crowd to feed! Thanks! Hi Kerry, I could try it! I haven’t tried to scale this particular recipe. Can I double the recipe and bake in a half sheet pan? Would it be better to double and bake in two 9×13 pans? I have a big crowd for an upcoming birthday party. 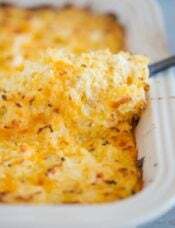 Hi Mary, It would be way too much batter for a double batch in a half sheet pan; you’d need to do two 9×13 pans. Hi Michelle, Could I substitute the 8 ounces of bittersweet chopped chocolate in this recipe for 8 ounces of Ghirardelli bittersweet chocolate chips, since the chocolate is going to be melted anyway? 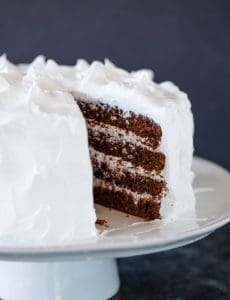 I’m planning on baking this cake for a friend’s birthday, topped with your recipe for “Easy Vanilla Bean Buttercream”, since she told me that her favorite cake is a chocolate cake with white icing. Thanks, Michelle! 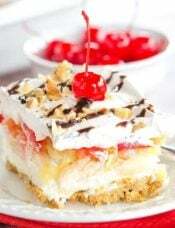 could I make this into a double layer sheet cake? I have 21 people to feed so the single layer won’t cut it. Hi Emily, You’d have to make it two pans and then stack it; there’s too much batter to put it in one single pan. It’s the best cake recipe! Made it twice now and the second time I added a little bit of orange extract into the ganache. Easy and simply divine. Hi…. I have to bring something like this to a group party… can I put a “sling” of parchment in the pan to make removal easier? I made this yesterday, and it is delicious. I added a teaspoon of espresso powder. It’s great that you only need one bowl and one saucepan. The only thing I didn’t care for was chopping up the chocolate. That seemed to take forever. Thank you for another great recipe. I tested this recipe for Cook’s Illustrated. We all agreed it was delicious! Especially that frosting. Yum! Sometimes the classics are the best! Trying your recipe this afternoon! I think I will substitute the milk for a nitro milk stout. Or at least pair it with one. Hmmm this looks like chocolate heaven! Incredible! I can’t seem to find dutch process cocoa powder anywhere! Where do you buy yours from? Thanks for your time. I always order my Dutch process cocoa from King Arthur Flour ~ it’s the only place I’ve been able to find it. Hi Heather! I’ve used both King Arthur Flour (this one: http://www.kingarthurflour.com/shop/items/bensdorp-dutch-process-cocoa-16-oz) and Valrhona (buy it from Chocosphere: https://www.chocosphere.com/default/brand/t-z/valrhona/vlrhn-cocoa-powder-1kg.html) – both are great!